A beautiful sandy beach appears because of a coral reef. This cycle of constant replenishment gives us some of our most treasured coastline environments. 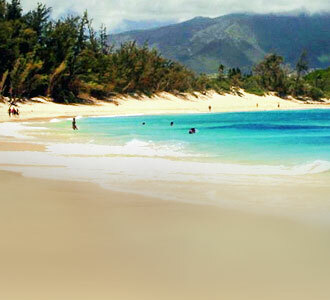 Maui has always been a top destination for it’s beautiful beaches, great amenities and incredible natural sites. 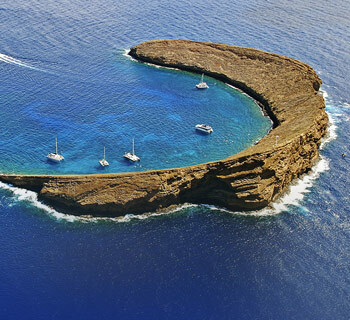 Molokini Crater, Mount Haleakala, the Road to Hana and of course the living Hawaiian culture. You will feel the aloha visiting this island. From famed Molokini Crater to sprawling Olowalu Reef, the island of Maui boasts some of the most iconic coral reef ecosystems in Hawaii. Ranked as one of the top islands in the world, Maui annually receives an estimated 3 million visitors, many of whom enjoy snorkeling, diving, and surfing the island’s coral reefs. Coral reefs are living, breathing organisms that comprise an essential part of Maui’s underwater landscape. Reefs hold significant environmental, cultural, recreational, and economic value. They protect Maui’s shorelines from large storms, are responsible for creating the island’s broad sandy beaches, and represent an important local food source. The majority of Maui’s developed reefs can be found along the island’s west and south coasts where extensive coral communities have flourished for thousands of years. 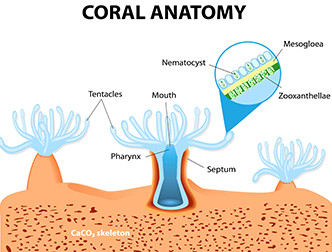 These coral reefs house a myriad of algae, fishes, and invertebrates, in addition to larger animals such as green sea turtles, humpback whales, the critically endangered Hawaiian Monk Seal, manta rays, and a variety of shark species. An estimated 25% of the species found on Maui reefs are considered endemic, meaning that they are found nowhere else on Earth. The importance of Maui’s reefs has been identified across a number of agencies, and in 2011, the Ka‘anapali area of West Maui was designated as a national priority site area by the U.S. Coral Reef Task Force. In recent decades, expanding development, a growing tourism industry, pollution, sedimentation and changing ocean conditions have led to declines in coral cover throughout Maui. 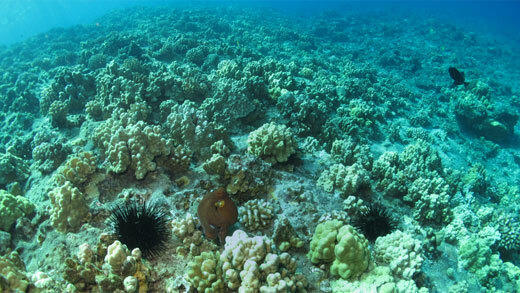 In some places, Maui reefs have experienced a upwards of a 75% decline in coral cover. Many reef areas have been overtaken by invasive algaes that smother the corals, starving them of essential sunlight. To address these issues, Maui has spearheaded a number of conservation programs and efforts designed to minimize human impacts to the reefs. The West Maui Ridge to Reef Initiative, for example, seeks to improve coral health by reducing land-based pollution, while the Hawaii Ecotourism Association works with tour operators to adopt sustainable practices. builds on this ground work and seeks to promote proper coral reef etiquette throughout the Maui community. We focus on building local partnerships and connecting visitors and residents with tour operators, businesses, educators, and scientists. Learn more about our campaign to designate Molokini Crater as the first Be Reef Safe destination in Hawaii, and connect with local community groups who are making a difference for Maui’s reefs. Help us create a better experience at Molokini Crater by using only tour companies that are using reef safe practises like offering free reef-safe sunscreen to their guests. Trilogy sailing charters partners with environmental nonprofits to host regular reef cleanups throughout Maui. Surfrider Foundation Maui Chapter works at the grassroots level to protect the island’s ocean, waves, and beaches. Check out upcoming events and volunteer at Surfrider’s next beach cleanup! Land-based runoff is one of the biggest threats to coral reefs. East Maui Watershed Partnership is working to reduce the impact of runoff by improving the health of Maui’s streams and waterways. Here are some of Be Reef Safe partners on Maui. Valley Isle Excursions is working on land to improve the health of Maui’s reefs, our Hawaiian culture and Maui’s environment. In supporting forest & water quality projects, pond restorations, gaining green business certifications while maintaining high quality tour standards, they have become a leader for good business practices on Maui. Check out their Hawaii Ecotourism Certified Maui Tour that takes you to “Heavenly Hana” and beyond. Pride of Maui – As one of the largest snorkel tours operating in Maui their efforts are important. Offering free reef-safe sunscreen at two locations on their boat during all cruises. Now offering eco-friendly plates and cups to serve their bbq and bar drinks shows commitment towards gaining certifications and supporting organizations that will help all of Maui prosper. Hawaiian Paddle Sports – This B corp company is serious about making a social and an environmental difference across Hawaii. They offer small private ocean tours and lessons. Use of long sleeve rash guards during surf lessons to protect from the sun, reusable steel water bottles provided on all tours and a great cultural experience puts them in their own league. Their efforts far outweigh their size which is very commendable and should be supported. 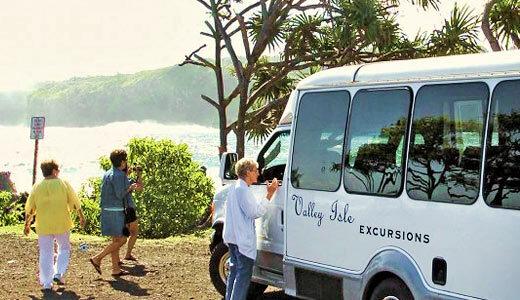 Valley Isle Excursions Hana Maui Tour - Explore the road to Hana in the most eco-friendly way possible. 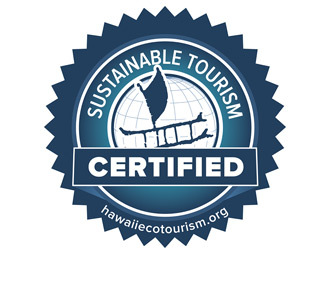 Hawaii Ecotourism Certified & Green Business Certified they are as serious about the environment and culture as they are in providing a great vacation day. 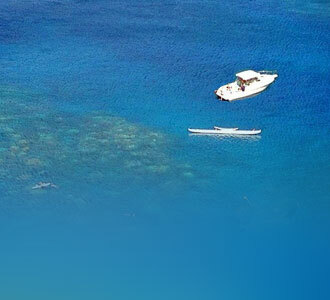 Trilogy Excursions Snorkeling Tours – Leading reef cleanups in West Maui. Leilani Maui Charter Tours – Providing luxury small group tours. 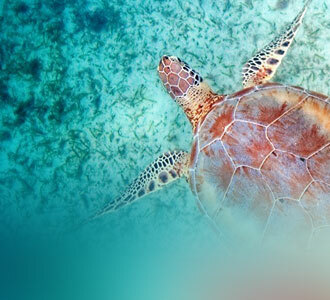 Provides reef-safe options and a low waste trip. Pride Of Maui Molokini Snorkel Tour – Free reef-safe sunscreen offered to all guests. The largest and busiest boat in Maui for snorkeling. Hawaiian Paddle Sports Private paddle and surf based tours – One of the top eco-friendly companies on Maui. They provide eco-education along with a cultural experience that is hard to beat. Maui Kayak Adventures Kayaking Tours – Private and group tours that focus on culture environment and ocean awareness. 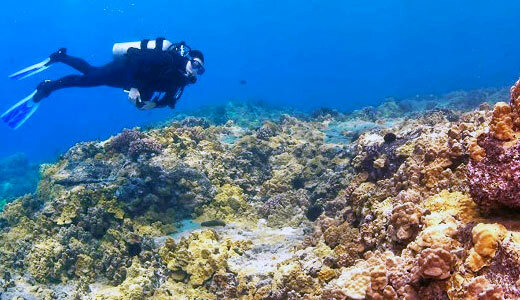 Atlantis Adventures Underwater Maui Tours – Check out the underwater tours of Maui’s reefs and shipwrecks. No sunscreen needed! Do you want to be included on this list? Get signed up and we can get your eco-friendly efforts recognized or started. It’s never too late!